An invitation to visit one of the newest hotel in Singapore, with a breathe taking panoramic view of Singapore’s central catchment greenery and heartlands, I did not hesitate to reply YES !! 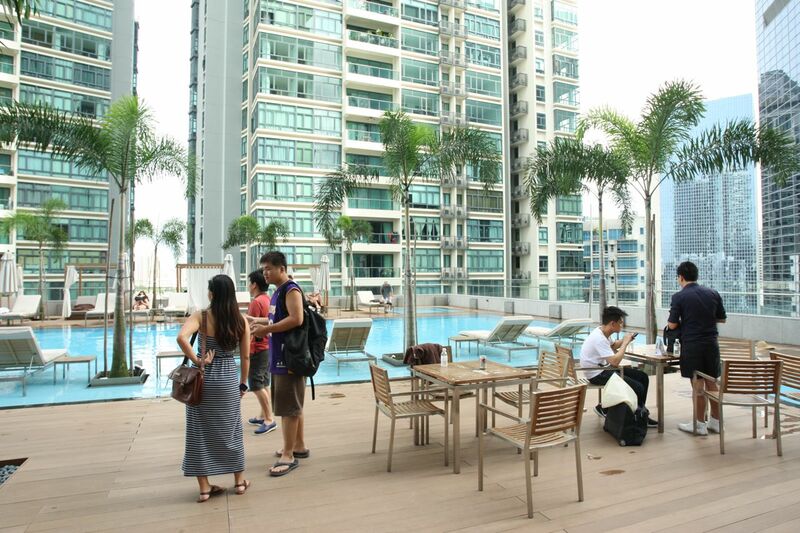 Together with many blogging community friends, organised by Oasia Hotel and Dice Studio, we were invited to a relaxing and casual chill out session, catching the sunset and a tour of Oasia Hotel’s beautiful suites and facilities. Located on the outskirts of Singapore’s shopping district at Orchard Road, Oasia Hotel is just 2 train stations away from Orchard MRT Station and visitors can easily travel down to do their shopping or they can also visit Novena Square and Velocity, there are just beside them. Upon arrival at the hotel lobby of Oasia Hotel, I had a quick look and was amazed by the design and wooden designs and architecture. Reaching the pool level on the 22nd floor, only available to the guests of Club Suites, I was mesermised by the beauty and style of the swimming pools, with a truly beautiful panoramic view of Singapore’s central catchment greenery and heartlands. I quickly settled down, catching up with friends, with great food and drinks, there’s also massage for us and for the ladies, manicure and pedicure! The management and staff of Oasia Hotel were also there with us at the chill out session, chatting and relaxing with us, great hosts they were! We were later divided into smaller groups and led by staff of Oasia Hotel to visit some of their Club Suites and Oasia Hotel facilities. The suites are very special and unique, they are designed by award-winning Japanese interior designer, Takashi Sugimoto of Super Potato, when we were visiting and exploring the Club Suites, the rooms have a lot of wooden features, along with designs that features natural stone sculptures and ambient lighting to create the ultimate experience. 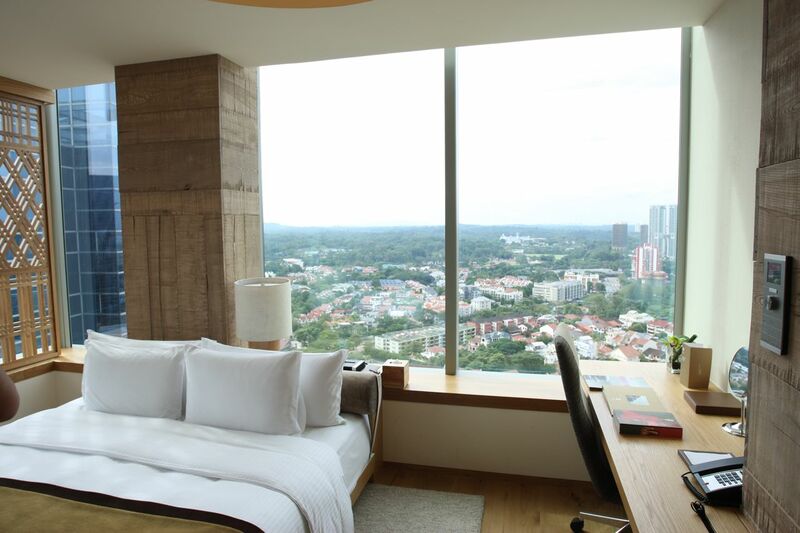 Personally, I really love the suites, luxurious and comfortable, a Zen and tranquil feeling, beside the windows, there are spaces to sit on, for me to look out and enjoy the sceneries outside, in the day and night. 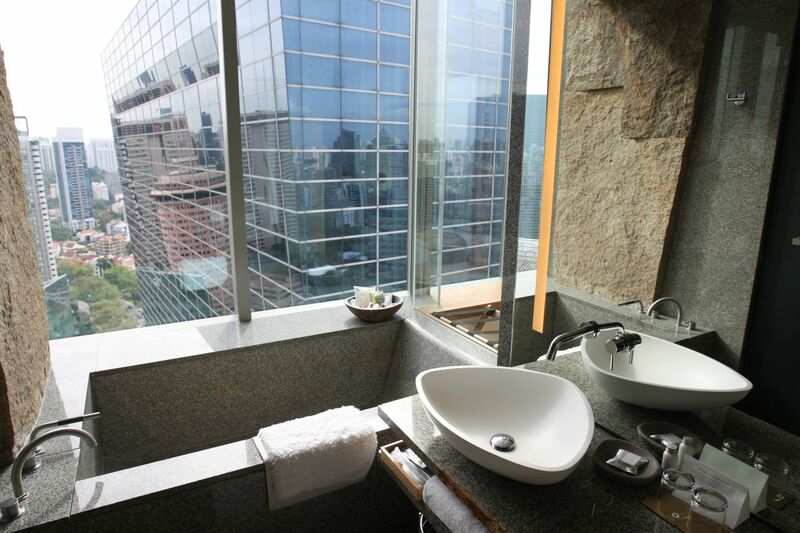 The shower and bathing facilities are beautiful and well-designed, a place that you might spend a bit of time soaking in the bath tub and enjoy the sceneries outside the window! 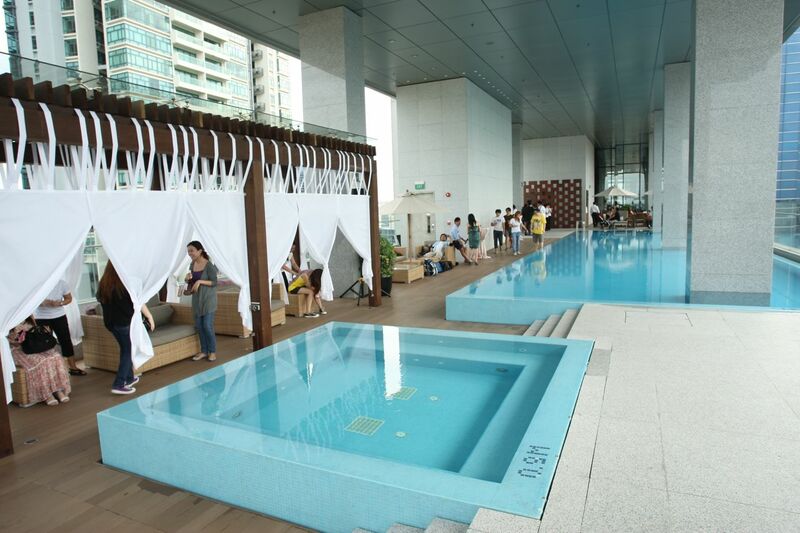 After visiting different Club Suites, we were brought around the hotel’s facilities for a tour, the swimming pool on the 6th floor, they have an open greenery space there, ideal for small functions such as wedding solemnization. 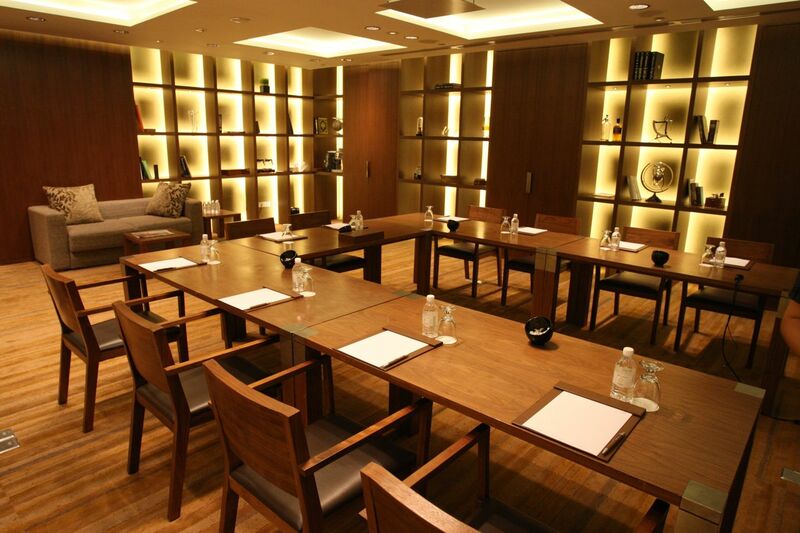 We also visited the boardroom and meeting function rooms facilities at the Oasia Hotel too. Finishing the tour around Oasia Hotel, we went back to the 22nd floor, sit back and relax, chit chat away with friends, taking photos and waiting for the sunset !! Check out my Flickr collection for more photos of Oasia Hotel !! The chill out session was great and I had a great time, thanks to Oasia Hotel for being such great hosts with their warmth and hospitality, Dice Studio for their invitation and of course, Ee Von ! 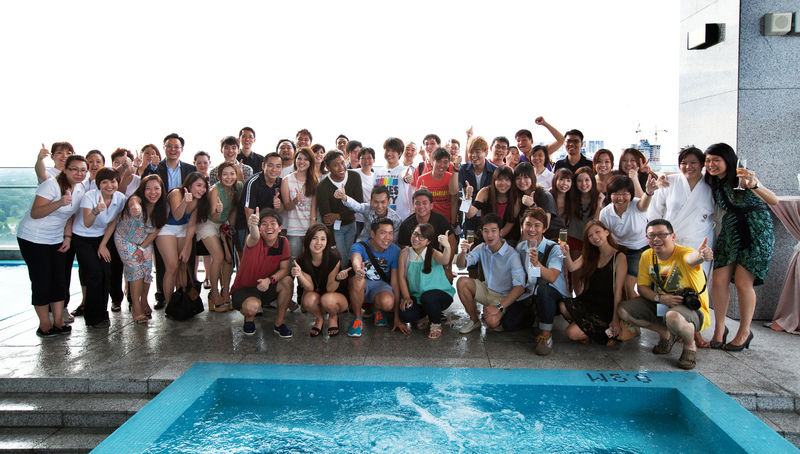 Here’s a group photo of the whole big group of us there at the chill out session ! Just for you, my friends and readers, if you like to enjoy the Oasia Experience @ Oasia Hotel, fill in the form below and you are able to get 10% off Oasia Hotel’s Special Weekend Staycation Package ! !